There are plenty of terms and phrases in the Bible you frequently hear in church but may not understand. One such term is first fruits. 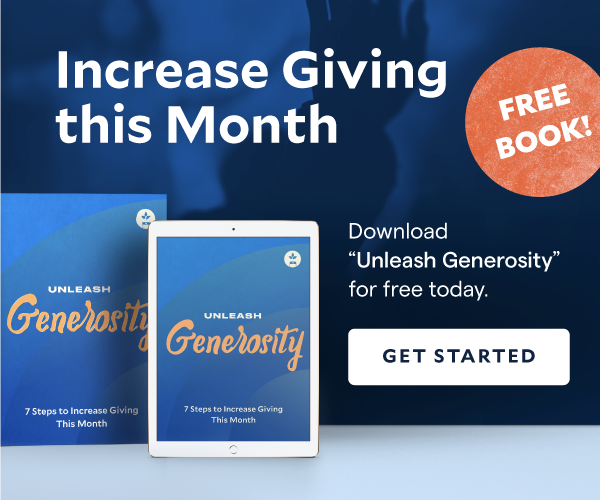 First fruits may be mentioned when pastors talk about giving or generosity. But what exactly does it mean? And why is it good to know for the average church-goer? The concept of first fruits is rooted in biblical times when people lived in an agrarian society. Harvest time was significant because that was when the hard work the farmers had poured into their crops all year began to pay off. They were literally reaping what they sowed. God called his people to bring the first yield—the first fruits—from their harvest to him as an offering. This was to demonstrate the Israelites’ obedience and reverence for God. It also showed that they trusted God to provide enough crops to feed their family. Back then, there were plenty of rules associated with making first fruit sacrifices. They had to be brought to the temple priests. No other crops could be harvested until after the first fruits were presented. It was a complex process. The Hebrew word for first fruit is bikkurim—literally translated to “promise to come.” The Israelites saw these first fruits as an investment into their future. God told them that if they brought their first fruits to him, he would bless all that came afterword. We no longer live in an agrarian-based society. Most people reading this are probably not farmers. You likely don’t worry about harvest time or giving away the first yield of your crops. But the idea of first fruits is still relevant—it just takes on a new meaning for us. We see the term first fruits initially mentioned in the book of Exodus when Moses is leading God’s people out of captivity in Egypt. God instructed the Israelites to give up the first of their crops so that they could understand the value of God’s blessings. Through the first five books of the Bible, Moses brings up the idea of a total of thirteen times. That’s because it was an essential concept for his people to understand. First fruits is mentioned throughout in the Bible, and it’s even referenced in the New Testament. In the New Testament, the term first fruits takes on a symbolic meaning. In 1 Corinthians 15:20, Paul mentions Christ as the “firstfruits of those who have fallen asleep.” Jesus was God’s first fruits—his one and only son, and the best that humanity had to offer. God gave Jesus up for us, in the same way that we sacrifice the best we have for him. What started as a specific instruction for bringing crops to the temple priest was expanded on later in Scripture. It no longer refers to literal fruit—firstfruits means any income, wealth, or blessings that a Christian has received over the course of the year. To give a tithe means that you give a tenth of your income to your church. Tithes are generally given throughout the entire year. Tithes are meant to be given in an automatic sense of obedience after you receive your income--e.g., paycheck, commission, bonus. A first fruit offering is something different. First fruit offerings are typically an annual gift to the church done at “harvest time.” Because we’re not actually harvesting crops, the harvest can mean different things to different people. Perhaps you just got a bonus at work. Maybe you just received a huge tax refund check. Maybe you saved 15% or more on car insurance. These are all harvest time moments when your hard work paid off. These are also great opportunities to turn back to God in gratitude for the blessings. Whenever you decide to make a first fruit offering, the important thing is that you do it freely, with no guilt or obligation. This is supposed to be a celebration of all that God has done for you. It’s a kind of worship that you can use to support the work of others. A first fruit offering is our opportunity to give above and beyond just a regular tithe. The famous Bible story of Cain and Abel begins when the two brothers make an offering to God. Cain brings some of his crops before the Lord, and Abel brings an offering of slaughtered animals. But there is a distinct difference between these two gifts. Cain brings some fruit and vegetables—probably something he had left over after he had fed himself and his family. But Abel brought the best of what he had to God—the firstborn of the flock, the healthiest of his animals. God noticed this difference in these sacrifices, and he had a clear preference between the two. Disregarding what famously happens in the rest of the story, the sacrifices of Cain and Abel teaches us a valuable lesson. Giving our firstfruits means giving our best to God. It means sacrificing something that costs us a little. It means putting God first, even before ourselves, or our family. Making a first fruit offering opens us up to allow God to work in our life. When we approach God with open hands—rather than clenched fists—it makes it easier for him to give us more to work with. Giving of our first fruits reminds us that God is our ultimate priority. It shows God that we are obedient to him and we can be trusted with more. Perhaps most importantly, being generous in this way shows that we are grateful for all God has given to us. Pray: If your goal is obedience to God, it only makes sense that you would first go to him in prayer. Ask him what you should do with your money and resources. Listen to what he says. Prepare: God calls us to be good stewards of the blessings he gives us. That means knowing what we’re able to give and when. Have a plan in place for your offering. Approach each harvest time with an open mind and a generous heart. Prioritize: The whole idea behind a first fruit gift is to put God first. That may be donating your first paycheck of the year to the church. It may mean that you put this donation first in your budget. Just make sure that you’re prioritizing God in your finances. Give: Know where you are going to give the money to. Is there a specific fund at the church you want to contribute to? Is there another nonprofit you want to support? It also helps to know the amount you’ll give. Repeat: How often do you want to give a first fruit offering? This was traditionally an annual practice, but you can give as often as you’d like. Making it a part of your routine will help keep it a priority, not something you do spontaneously or sporadically. However you give, the key thing is that you’re giving with an open heart and mind. 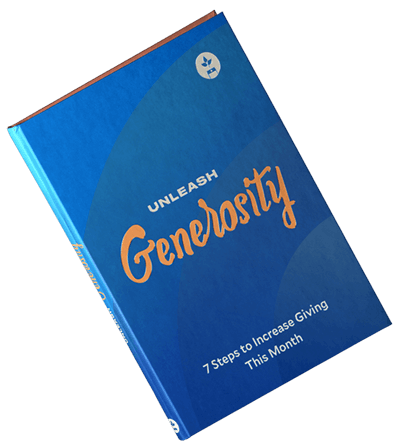 The process of giving above your normal tithe can help prepare you for God to make a difference in your life. Making a first fruit offering demonstrates obedience to God, rather than your money.